If your organization is rolling out a renewal program, or even if you're already in the midst of sending out renewals, you may want to take note of some of the findings of the Membership Marketing Benchmarking Survey produced by Marketing General Incorporate (MGI). The Survey found that in 2010, most of the associations who participated in the study reported "renewal rates between 80% and 90%. Renewal rates were even better for smaller associations (with fewer than 1000 members) with 90% or higher." While those renewal stats are heartening, one of the survey's most interesting findings was around the reasons for non-renewals. When the economy was still reeling in 2009, the survey found the non-renewals were largely due to cost. But this year, they found that price wasn't the top reason for non-renewals - it was "a lack of value in the organization.... A total of 36 percent of respondents cited value as the key issue, an 80% leap over last year." The good news, suggest the folks at MGI, is that while there isn't too much you can do to save a membership when price is the issue, if members are lapsing due to "value issues [you] can do research and member interviews to better understand what they are looking to receive and make changes to communications or the products themselves to enhance the value." What are your members looking for? When determining whether your members feel they are getting value for their membership dollar, it is interesting to look at the Benchmarking Survey's findings on why people join associations. They found that "about one-quarter of association executives feel that members are most likely to join their organization to network with others in the field. Only 13% of respondents indicate that members join their association for access to specialized information." The survey also found that continuing education and monthly publications are main drivers for joining Associations offering individual memberships. Take a good look at the key reasons your members join or renew and be sure any of your renewal communications offer benefit-oriented copy that demonstrates these strengths. If you think your organization is struggling to demonstrate its value, you may want to step back and take a fresh look at your renewal strategy - including timelines, communication frequency and most importantly, content. 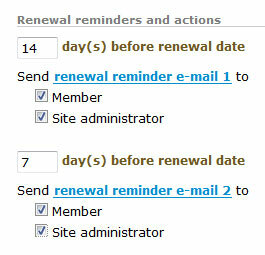 In terms of the time to start the renewal ask, the Membership Marketing Benchmarking Survey indicates that while over a third of associations begin the renewal process three months prior to membership expiration, those with over 80% renewal rates usually wait until about two months prior to expiration to begin their renewal efforts. When looking at the frequency or number of renewal messages, the data from MGI's survey indicated that higher frequency renewal programs were most effective. Even if you've created a series of renewal reminders, it's not just a question of telling members what you've done for them lately. You've got to convince them of the benefits of membership renewal. The importance of writing about benefits versus offering a list of features is critical. This is true for any organization, be it a member, volunteer, non-profit organization or private company. Yet while it may seem obvious, it is surprising how often membership or sales folks slip into trotting out a list of features, rather than flipping those around to demonstrate benefits and value to the individual member. And while you want consistent messaging across all renewal communications, don't forget to update and customize each renewal communications piece. Membership software programs, such as Wild Apricot's, allow you to create a series of automated renewal emails based on your preset frequency timelines. This type of membership management software allows you to customize the message in each email so you can demonstrate membership value or make numerous renewal offers. As we noted in an earlier blog post, organizations can demonstrate the value of membership through a varied menu of communications tools - both on- and offline, such as newsletters, blogs, email updates as well as personal outreach. While you need to automate your renewal process, you don't have to, nor should you, neglect the tried-and-true methods such as telephone and mail. In fact, the Membership Marketing Benchmarking Survey found that in 2010 "member word-of-mouth recommendations (91%) and association website (88%) are the two most common methods by which prospective members become aware of an association." Harness the power of your engaged members or volunteers through a telephone or e-mail campaign as part of your retention strategy. If you are wondering if a renewal offer might sway the member sitting on the value fence, the Benchmarking Survey suggests that in 2010 discounts on conferences/conventions were the most effective tactic - which makes sense if your members are looking for networking opportunities. First year's dues discounts were the second most effective renewal offer. Perhaps you want to test some concepts or offers on a particular segment of your membership? 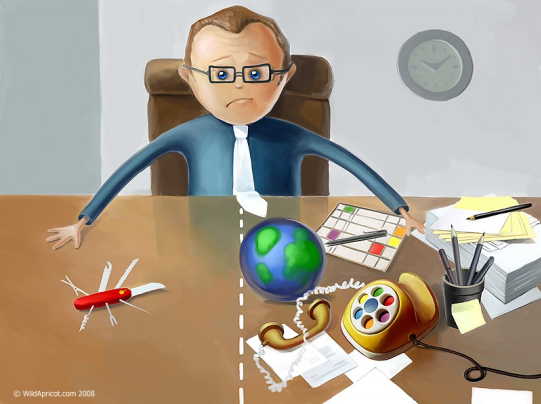 Too many renewals - too little time? For small organizations where staffing or volunteer resources are limited, renewing the entire membership at once creates a huge resource drain and can create bottlenecks and stress. Consider whether you might be able to try a rolling schedule of renewals so that you space out renewal efforts. Even though you may have heard all of this before, it really does help to step back and take a fresh look at your renewal strategy and materials to be sure you haven't missed any opportunities to fine-tune the process. Check out this article: Writing an Effective Membership Renewal Letter by Bunnie Riedel. While it refers to membership letters, it is still worth reading for ideas on content and tone. Do Discounted Memberships Bring in the Money?- blog post by Allyson Kapin investigates the effects of discounted memberships. If you have any helpful tips for your membership colleagues, please share them by posting a comment below.